Beyond the aesthetic issue, design helps identify the lead with your product and has a direct impact on the buying decision. 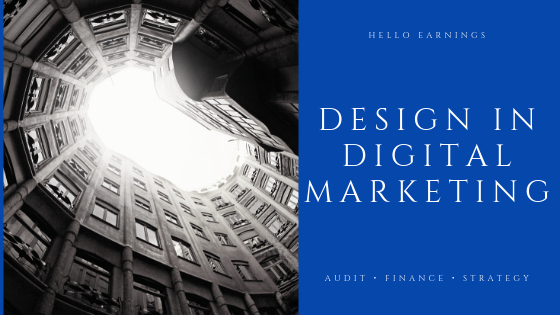 How important is Design in digital marketing? Very often, we leave aside the visual identity because we believe that Design is superfluous, responsible only to make things more "pretty". In addition to being responsible for the technical aspects that make the publication or any other graphic element more pleasant to read, showing it in a clearer and more intuitive form. The design is an essential element for creating a dialogue with your target audience, generating recognition and identification with your product. Together with the copy, the design is the front line of your promotional campaign. It is these two elements combined that make the link producer-buyer or affiliate-buyer. And we know how much a visual identity and a text with which you identify, who speaks to you, has influence in the purchase decision. But while the designer's work is very important and irreplaceable, you do not have to be a professional to create graphical elements that generate sales and conversion. 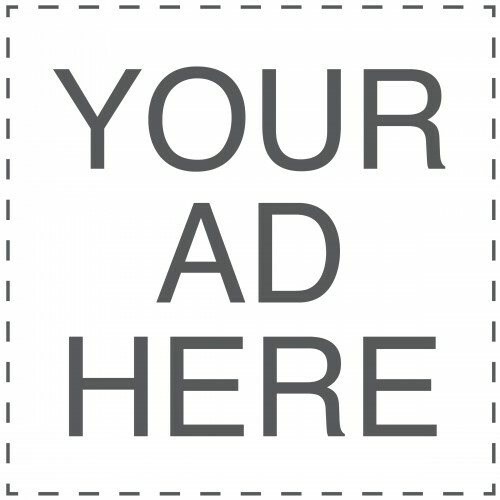 By following the advice in this text, you will be able to create your own images and make your posts and ads more welcoming when you click! To create a sales page that actually converts, you will need, above all, to know your target audience. Who has already followed the Hotmart Academy, knows that the goal of the producer and the affiliate is to offer the best experience to the user, and this is only possible when we achieve a communication aligned with the interests of our persona. Just walk around a supermarket to perceive that each department has a well-defined target audience: infant products are different from adult products, which are different from products for personal hygiene, and so on. And this also applies to the digital products market! People tend to visually identify with certain products, so it's so important to invest in building a quality visual identity. Since you know your persona well, and your product belongs to a specific market niche, knowing how to identify whether a graphic element is appropriate for your target audience or not, becomes a natural process. Whether on the internet or even in your everyday life, collect visual references. Take pictures of products, packaging and other graphics, virtual or physical elements that are relevant to your product and your target audience. This observation exercise already offers in itself a very interesting set of colors, shapes, style of photographs and sources that you can apply on your page, to make it more attractive. Another strategy that works is to benchmark companies that work in the same segment as you and find out what they are doing, both in the visual part and the copy level. This analysis can provide valuable insights to improve your product. Keep in mind, however, that benchmarking does not mean literally copying what your competitor is doing. But to discover references that can be adapted to your business. If you are a producer who has just created an e-book or a video course, for example, it is likely that you already have a set of visual elements of your product! Use these elements to create ads, sales pages, and other products that are consistent with your original proposal. This is important because visual consistency increases the reliability of your ads relative to the product. Imagine if you create an ad that is completely different from your sales page, and that it is not related to your product itself? The user who clicks on this ad will not identify with your speech, which decreases your chances of providing any information, be it email or payment data. For this to not happen, certify that your communication (copy and design) is aligned with all your pages online. The consistency of your publications is one of the most important factors in keeping leads committed to your page/product. We tend to find that everything deserves to be highlighted, that all the information we transmit is crucial (and very often they are!). But when it comes to design, when everything attracts attention, nothing is noticed! If various elements compete with each other for the attention of the reader, the tendency is that it is completely lost. You must, therefore, adopt two strategies: prioritize the information, which is possible only with a good knowledge of copy; and differentiate actions within your site through colors. Do a search in Google for "Chromatic Circle" and "Complementary Color and Analog Palette" and you will find many examples of color schemes. For example, if your product has a blue tone, use a similar palette of other shades of blue and bluish green to create most of your sales page or ads, such as boxes and titles. Also use complementary colors, as in this case, oranges and reds, to highlight the Call-to-Actions (CTA) and other elements that guide the reading, such as, for example, the arrows. Having this concern with the color scheme is fundamental. Indeed, digital marketing studies show that 93% of consumers consider that the visual appearance of a site is the factor that contributes the most to convincing to spend on the purchase. And remember: Create different elements and different shapes. Never create a CTA that can go unnoticed or confused with another illustration or vice versa. Simplify the navigation and understanding of the visitor of your page, do not force him to think, offer him an intuitive navigation experience. If the navigation is not intuitive, you risk losing a sale. Putting a photograph with someone looking in the direction of a CTA can increase the conversion and the clickthrough rate. Arrows that drive the reader through the rest of the page's content can also be a way to get the user to go further. These factors can increase the lead's average lead time in your sales page and, as a result, the likelihood that it will make the purchase. BE ORIGINAL IN YOUR APPROACH! We are bombarded 24 hours a day, both on the computer screen and on the laptop with photos, videos, news and all other types of visual content, which makes it more difficult every day to distinguish on the market. So avoid clichés, try to be original, and think of ways to communicate with your audience that your competitors have never used. Use filters and illustrations, edit (even minimally) the images you will use in your ads and on your sales page. Do A / B tests every time an ad does not work well or if your sales page converts less than expected. Change some crucial elements, such as CTA color and ad images, and see if the changes you've made have an impact on your conversion rates. Although it's not the only factor that influences the buying decision, the design is very important in digital marketing. With the copy, these are the elements that translate what your product is, in addition to promoting dialogue between the producer or the affiliate and the consumer. When you create a consistent visual and text identity, your campaign becomes more effective, saving you from having to redo and unnecessary costs. Even if you hire a designer to take care of the graphic elements and announcements of the product to be disclosed, it is important that you, as a producer or affiliate, have these elements in mind, to find out what works for your audience. If you liked these tips or if you still have questions on the subject, leave us a comment!